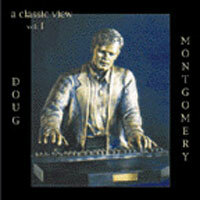 For over thirty years, music lovers around the world have agreed with the Chicago Sun Times, “There is only one Doug Montgomery.” His unforgettable live performances and his numerous versatile recordings reveal the vast talent of this world-class musician and his repeat engagements at some of the country’s premier private and corporate events proves the appeal is surely the music but also the man himself. In fifth grade he walked through the doors of his first music class and entered a whole new world. A native Chicagoan, Montgomery began attending Northwestern University’s pre-college music prep program at the age of 13. His passion for classical music prompted Montgomery to pursue his Bachelor’s degree from Northwestern(1976) where he studied with Gui Mombaerts and then his Master’s degree from the famed Juilliard School of Music in 1978, where he studied with Martin Canin and John Browning. Upon receiving his Master’s, he was awarded the prestigious Joseph Lhevinne Scholarship in piano and returned to teach at Juilliard for a year. 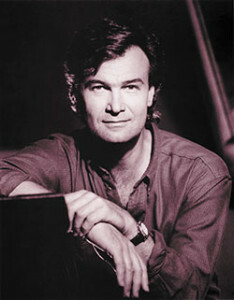 He attracted national attention as a top prize winner(1977)in the renowned Robert Casadesus Piano Competition. In 1976, he also won first prize in the Musical Arts Competition in Chicago, which is sponsored by the Society of American Musicians. 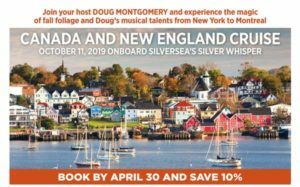 But prizes and competitions don’t pay the bills month after month, and Montgomery found himself in the same boat as many of the classically trained musicians. He was having trouble earning enough money for the barest essentials. In 1981, he returned home to Chicago to contemplate his career and his life. But fate intervened when he was visiting a photography studio and was asked to go along on a shoot and stopped by a modeling agency. When he walked into the “A+” modeling agency the owner immediately asked him to go out on a modeling assignment that very afternoon. A new and very busy career opened up as a model in Chicago and Manhattan. Montgomery didn’t play the piano for almost a year, but he did manage to pay off his debts and get back on his feet. After the brief and needed hiatus, he realized he wanted to play again, and how much he wanted to think of a life beyond modeling. For the first time in his life, he began thinking of playing something other than classical music. “I suddenly realized it was only because I had so much training, in classical music, that I was having a hard time justifying ever playing popular music. But I went out one evening with some friends to a piano bar. As I listened to the gentleman playing that night, I realized that with my ability, I could play those things in my own way, using my own arrangements and feel very good about what I was doing. Popular arrangements really are based on a lot of classical techniques,” says Montgomery. Not long after that a friend invited him to see the magnificent country near Santa Fe, New Mexico and another chapter in Montgomery’s life had begun. Since 1983, he has been playing in his new hometown several nights a week, when he’s not on the road. 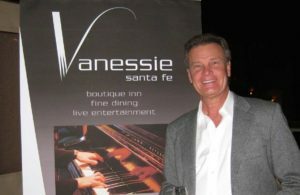 He is the star attraction at Vanessie of Santa Fe, repeatedly referred to as one of the best piano bars in the country. In 1986 he added vocals to his performances and the rest is history. In addition to pleasing his loyal local audiences, Montgomery maintains a very busy schedule traveling the country appearing at public and private events where he can count such celebrities as Former President George W. and Laura Bush, Gerald and Betty Ford, Henry Kissinger, Princess Margaret, former British Ambassador Walter Annenberg and Leonore Annenberg, Bob and Delores Hope, Arnold and Winnie Palmer, Diane Sawyer and Oscar De La Renta and Barbara Walters are among his admirers. He performed at several events during the 1989 inauguration of George H.W. Bush at the personal request of the new president. 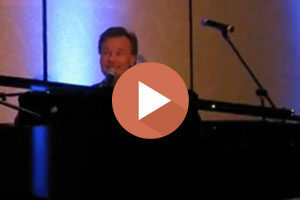 During his career as a solo performer, he has given hundreds of recitals throughout the world. He has appeared with the Orchestra of Santa Fe, Victoria Symphony Orchestra, The New Jersey Symphony, Kansas City Philharmonic, Youngstown Symphony Orchestra, Chicago Chamber Orchestra, The Grant Park Symphony Orchestra of Chicago, Valley Opera Orchestra of California, as well as a tour of the East Coast with the Burgundian Ensemble of New York City, and a tour of Venezuela with the Orquesta Synfonia of Venezuela. Montgomery participated in the Festival of Arts in Jyvaskula, Finland, and gave two recitals at the Menton International Forum for Music in France where he had a return engagement the following year. He was selected to represent the United States in the “1492-1992 Columbus Festival” in Genoa, Italy. The Arthritis Foundation of New Mexico and Arizona, has chosen Doug Montgomery as its first “Artist of the Year”, in recognition of his devotion to bringing the healing powers of music to thousands of listeners annually. In January 2017, Montgomery performed at the iconic Rainbow Room, Rockefeller Center accompanying world famous Soprano, Renee Fleming, Soprano, Ailyn Perez, Tenor, Matthew Polenzani, and Bass, Eric Owens. Today, Montgomery is married and makes his home in SantaFe, NM (Performing at Vanessie of Santa Fe). He continues to perform at many private, public and concert venues around the world.